What is FasTrackParents.com and the FasTrack Parents club? FasTrackParents.com allows enrolled FasTracKids® families to access materials that extend the classroom learning into their home and create an opportunity for parents to actively be part of their child’s educational journey. Families who are enrolled in a FasTracKids program have the opportunity to join the FasTrack Parents Club. Club members have access to age appropriate storybooks, fun coloring pages, overviews of classroom activities and many more activities to do at home. 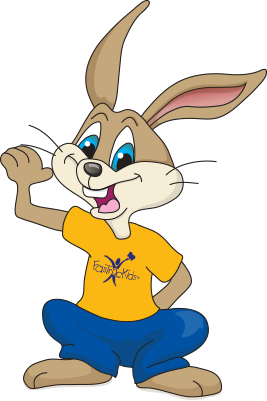 Activities and materials are currently available for families enrolled in the FasTrack Fundamentals and FasTrack Explorers programs. Families enrolled in FasTrack Music can access a separate parents website from FasTrackParents.com for exclusive program content. Check with your local FasTracKids center for updates on new program content that is added to FasTrackParents.com. We hope your family has fun continuing the FasTracKids learning journey while away from the classroom! I have just enrolled my child in FasTracKids. How can I register for the Parents Club? Congratulations on enrolling your child in a FasTracKids program! First, you will need to obtain the “Academy ID” and “Academy Name” of the center where your child enrolled. When you are on FasTrackParents.com, make sure to select the appropriate language. Finally, go to the FasTrack Parents Club Registration Page and fill out the fields. You will receive a confirmation email from FasTrackParents.com with a link for you to login to the FasTrack Parents Club. We hope your family have fun continuing the FasTracKids learning journey while away from the classroom! I have already registered on fastarckparents.com. Do I have to register again? Why? If you have created an account on our old parents site, you will need to register again. We want all parents to take advantage of the benefits that the new FasTrack Parents Club has to offer. To register, see the answer to question #2 “I have just enrolled my child in FasTracKids. How can I register for the Parents Club?” for instructions on how to register on the new FasTrack Parents site. I have an account, but I forgot my password. How can I reset my password? If you can’t remember your password, we can help! Select the “Lost your password” link on the FasTrack Parents Login page. After you enter the email address you used to register on FasTrackParents.com, select “Reset my password” link. An email will be sent to the address you have specified. Click on the new password link. You will now be able to reset your password by filling out the “New Password” and “Confirm new Password” fields. Select the “Reset Password” link when you are finished. My child is not enrolled in a FasTracKids program. How can I enroll my child in a program and register on the website? Once your child is enrolled in a FasTracKids program, you will receive an Academy ID and Academy Name from your center or school to use when you register on FasTrackParents.com. The FasTrack® Parents club gives you the opportunity to continue the learning journey with your child while away from the classroom! What is my Academy ID? If you do not know your Academy ID, contact your local center or school and they will be able to provide you with this identification code. What is my Academy Name? If you do not know the name of your academy, contact your local center or school and they will be able to provide you with their Academy Name.